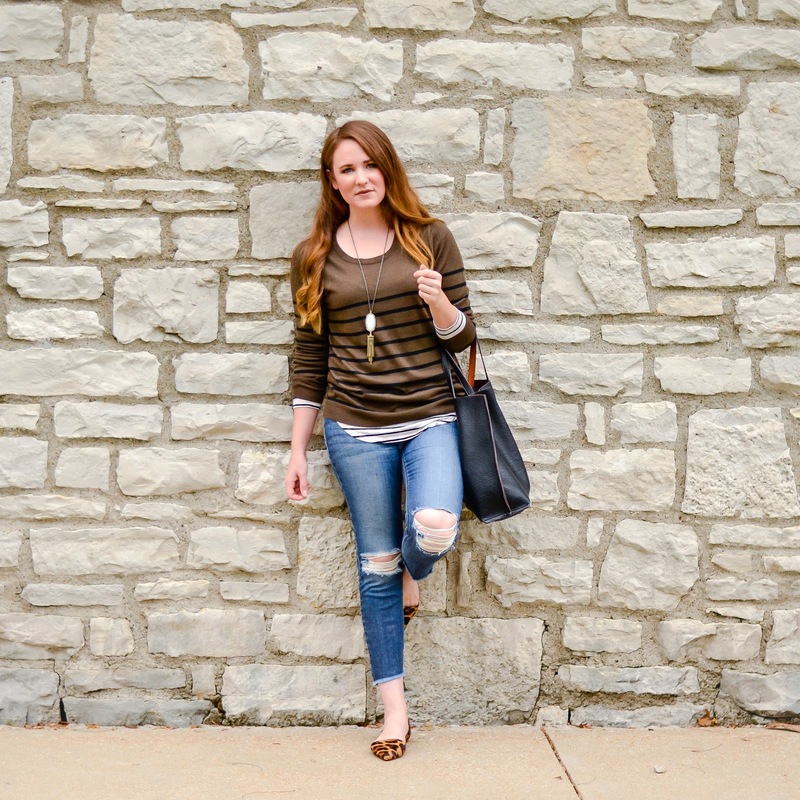 I figured this outfit was a perfect ‘introduction’ look, since it incorporates all my favorite things (well except my little dog Sherlock and froyo): stripes, olive, leopard, Kendra Scott, and denim. You’ll pretty much find me wearing at least one of these things everyday, but I’ve decided they’re best all mashed together. I especially love the mix of stripes- mixing the same pattern in two different scales is my preferred method of print mixing. It feels a little more modern, but it’s still a playful approach to layers. Thanks for stopping by Rose! Glad you like the post – I am so lucky to have had Jenna guest posting!